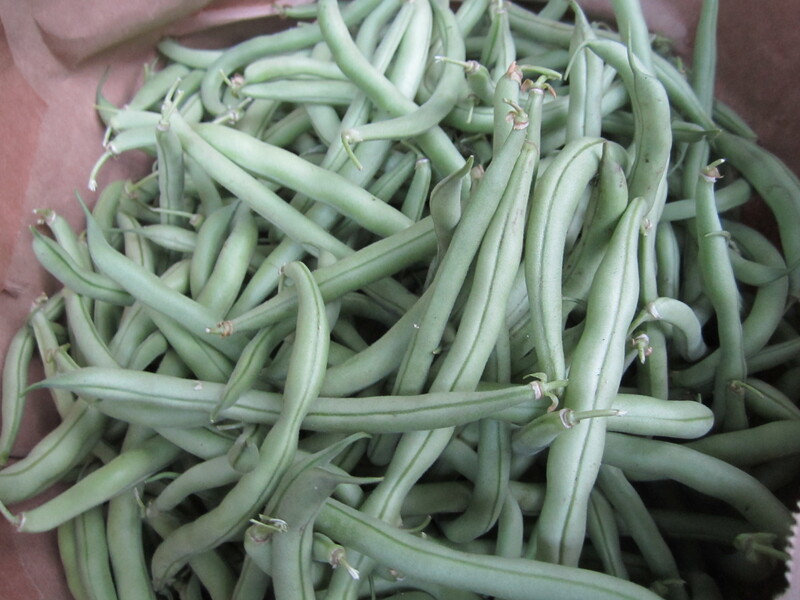 Green Beans- Green beans freeze really well. Just steam or blanch for about 2 minutes and then put them in a ziploc bag in your freezer. 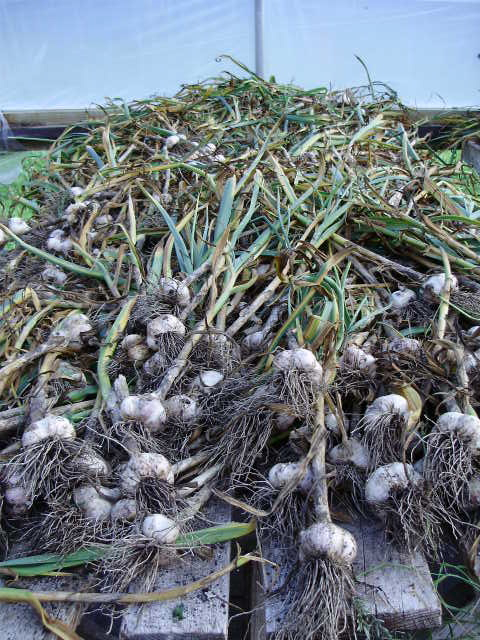 Garlic- Garlic will store well for months in a cool, dry place. Simply cut off the top about an inch or two above the cloves. Then store in an onion bag or other container that allows for air flow. 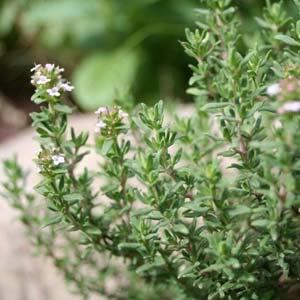 Herbs- Thyme and other herbs will store best if placed with their stems in water and then put in a fridge or kept at room temperature. They will also dry well, simply put them in a warm dry place and then store in an air tight container until you can use them. 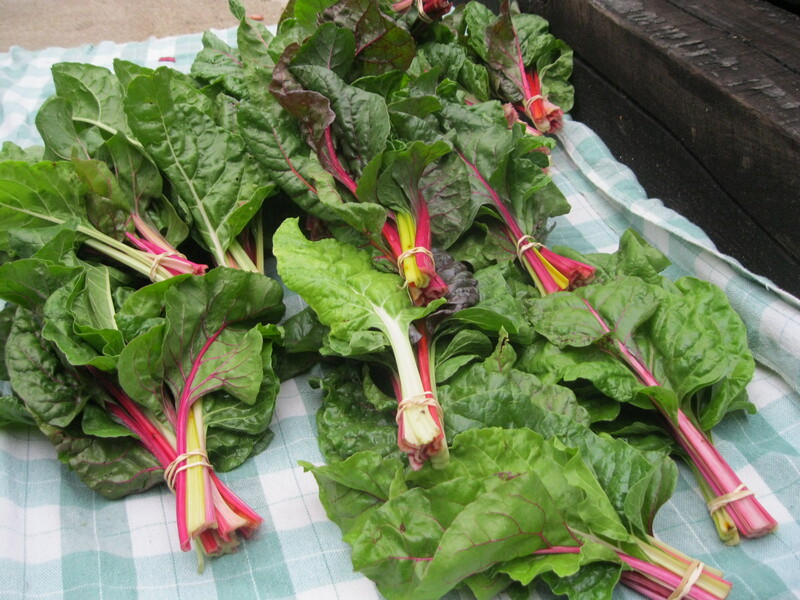 Greens- Kale, Chard and other greens are best eaten fresh. In a pinch you can freeze them though. Simply strip off the stem and prepare as you would for cooking in any other recipe. Steam or blanch for only a minute and then cool and store in an air tight container and freeze. For more tips on storing your harvest click on “Storing the Harvest” in the right tool bar under “Information”.